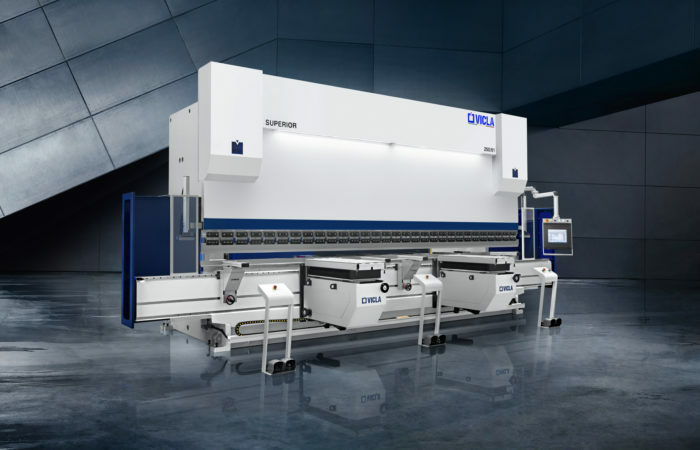 Speed and precision are the main features of sheet metal working, where achieving the best result in the shortest time possible, optimising the machine manufacturing different products, are the keywords. 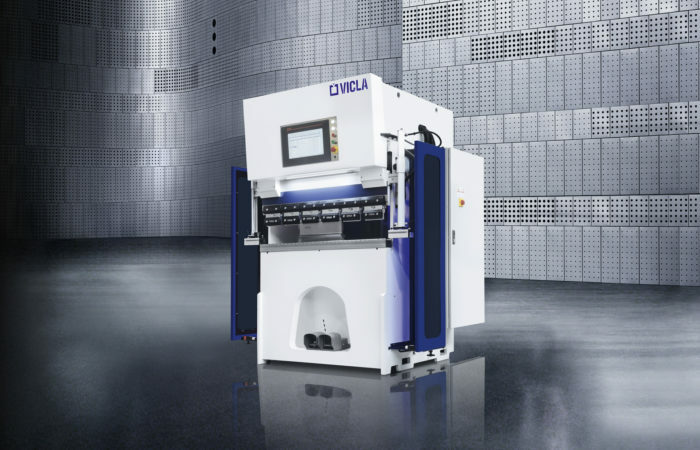 VICLA® can offer a wide range of flexible solutions, all engineered with the aim to optimise the production. AN ADVANTAGE ON EVERYONE: THE ABILITY TO LISTEN. 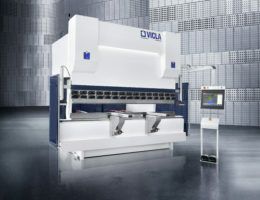 The .SUPERIOR press brake, engineered with great care for details, is a high quality machine tool. The studies made on the framework flections have allowed us to design a product that reacts in the most appropriate and responsive way to the mechanical solicitations, therefore guaranteeing a stable structure, thus a higher precision in bending. This feature is even enhanced by a system of automatic crowning. Worth mentioning is also the possibility to add options and upgrades on the configuration, at later stage. The double guided ram ensures the stability and the ram-working table perpendicularity. 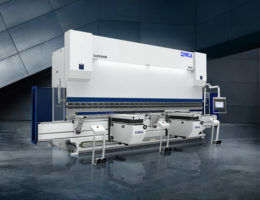 This allows to keep the high precision during the whole bending phase, even with different tools and intermediates, thus ensuring the centring made during the initial tests in time. 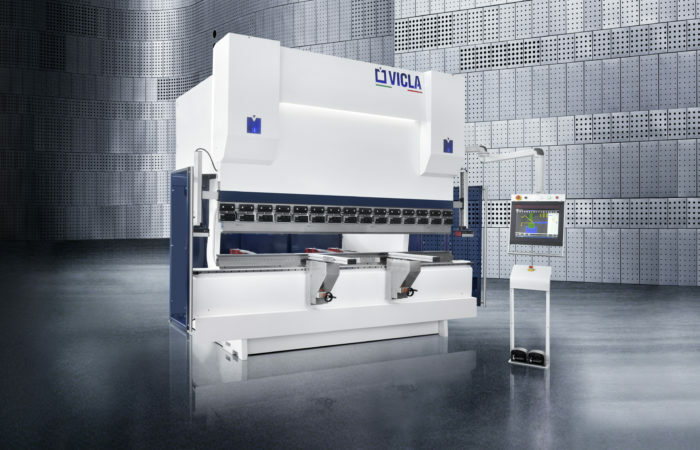 VICLA® is introducing the hybrid system at the same price as the conventional system, leading to a series of advantages for the customer: a huge energy saving (55% if compared to a traditional machine) and a massive reduction of the oil quantity needed, thanks to the double tank. Flex is the innovative system for the management of the structural flexions, that ensures the same bending depth, regardless to the length of the sheet. The CNC receives the data form the sensors on the cylinders. These information are then interpolated to set the correction parameters required. In case the OAC bending angle control system is present, the data are collected ans transferred by the straingauges, positioned into the point of maximum flexion of the frame. 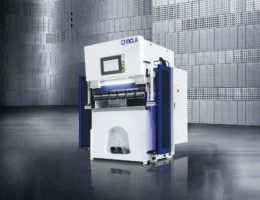 VICLA® .FIRST was designed and built to meet the small and medium-sized machining parts with extreme attention to speed, ergonomics and ease of use.